Kjell Inge Røkke, a Norwegian billionaire, one of the richest men in his country, and previously known as “a ruthless corporate raider” is giving away $2.7 billion of his fortune to build a mega-yacht that will help clean plastic from our oceans. Røkke made his billions in off-shore drilling and shipping companies, but now he wants to clean up the plastic that is choking marine life and making our oceans a sea of death. He wants to build a 596-foot vessel, called the REV, that will clean 5 tons of plastic trash daily from waters and then melt it down , Norway’s Aftenposten newspaper reported. It would be large enough to travel around the world to make autonomous expeditions gathering trash and measuring the ocean’s health. Boyan Slat, the 22-year-old who has his own Ocean Cleanup Project planned to launch in 2018, has determined the state of our oceans with his expeditions. The Arctic Ocean, for example, is a dead end for billions of pieces of plastic trash. More than five trillion pieces of plastic are already in the oceans, and by 2050 there will be more plastic in the sea than fish, by weight, according to the Ellen MacArthur Foundation. The plastic trash affects animals big and small. 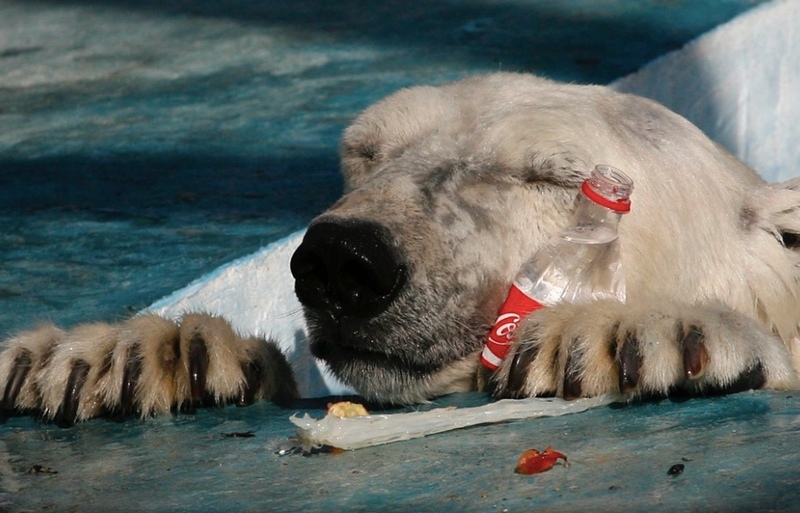 Polar Bear rescued from plastic-polluted habitat. In his humbler days the billionaire was a fisherman. He says that the oceans have given him and society so much, it was time to give something back, and give he is – considering that the cost of the vessel would be the bulk of his net worth, estimated to be around $2.7 billion. Business Insider reports that the yacht could carry 60 scientists and 40 crew. It would sometimes be used by Røkke and his family as well as possibly carry as many as 36 guests and a crew of 54 — a model that will allow him to generate extra funding for further oceanic research. The REV would also become the largest yacht in the world by gross tonnage at 16,000GT, overtaking Alisher Usmanov’s Dilbar by 100GT according to the project’s website.